I spent the weekend completing the edit of the great new revenge thriller Vengeful by Sharon M Thompson. Vengeful is available 26th March. fossicking – In Australia, New Zealand and Cornwall, fossicking is prospecting, especially when carried out as a recreational activity. This can be for gold, precious stones, fossils, etc. by sifting through a prospective area. In Australian English and New Zealand English, the term has an extended use meaning to “rummage”. Sharon’s first novel Secrets is available now. I’ve just finished the edit of the latest page-turner in the DI Miller series by John Carson – only one week to wait for its release but it’s available for pre-order now. The badly decomposed body of a young woman is found in the old nuclear bunker in Corstorphine Hill, where there is ongoing work being done to turn it into a museum. In her pockets are found items belonging to Becky McIver, a woman who went missing six years ago. Back then, Gus McIver was arrested and charged with his wife’s murder. He maintained his innocence, and despite Becky’s body never being found, McIver was sentenced to life in prison. No trace of Becky has ever been found. Until now. in the space of one week – one scheduled, one anticipated, and two completely out of the blue! A fifth manuscript is due to reach me on 3rd March. 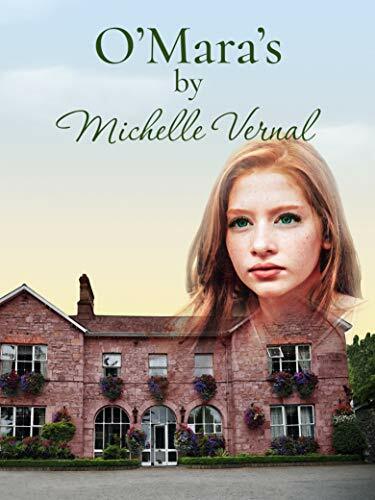 on Moira Lisa Smile, the second in the charming Guesthouse on the Green series by Michelle Vernal. The first in the series, O’Mara’s was completed earlier this week. Next up is the first novel in the second series featuring DI Hogarth, by Solomon Carter. 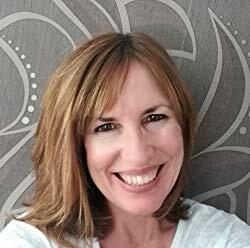 DI Hogarth featured as the protagonist in The Darkest series published in spring 2018 after first appearing in the Eva and Dan Private Investigator novels. ce I had any sci-fi novels to edit. 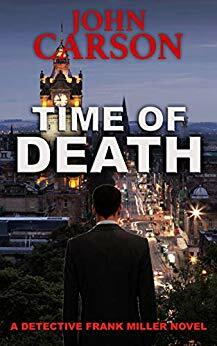 That should take care of February, and the latest in John Carson’s great DI Frank Miller series, Time of Death, will be with me in early March, ready for publication on 14th. A lovely gentle romance set in Ireland, this was a wonderful change of pace and genre for me to edit. Book two in the series, Moira Lisa Smile, is underway and will be published shortly. Take a break you’ll never forget at O’Mara’s Manor House—the Georgian guesthouse in the heart of Dublin’s Fair City. Its cosy and elegant setting is where you’ll fall in love with a cast of characters who’ll stay with you long after you finish the book. Oh, and a full Irish breakfast is included. If Aisling O’Mara hadn’t winged her way home to the Emerald Isle to take over the running of the family guesthouse she’d never have met Marcus, and her heart wouldn’t have been broken. She’s been trying to put her life back together since he left, but now he’s back and says he’s sorry. Can she trust him again? Una Brennan’s booked into the guesthouse she used to walk past each morning when she was a girl full of hopes and dreams for her happy ever after. She left Dublin more than fifty years ago vowing she’d never set foot in the city again. Why did she leave and what’s brought her back? Meanwhile, the little red fox who raids the bins outside O’Mara’s basement kitchen door at night would like to know why the woman in Room 1, cries herself to sleep each night. Witty, sad, and insightful with a touch of romance. Come and stay at O’Mara’s. It’s great to be working with a new – to me – author and a different genre. I’ve started work today on O’Mara’s – the first in The Guesthouse on the Green series, with the second novel Moira Lisa Smile due to be published on 5th March. Like me, Michelle was an early fan of Enid Blyton and The Faraway Tree stories!